FERC Requests that NERC Provide Transmission and Generation Outage Information - September 3 - FERC's Office of Electric Reliability sent a letter to NERC requesting that NERC provide FERC access to the Transmission Availability Data System (TADS) and the Generation Availability Data System (GADS). FERC indicated that this information was necessary to better understand outages and reliability risks, and requested a response within 60 days. FERC Approves PRC-005-2 VSL Revision - August 25 - In a letter order, FERC approved NERC's proposal to revise the Violation Severity Level (VSL) assigned to Requirement R1 in Protection System Maintenance Reliability Standard PRC-005-2 for the failure to include station batteries in a time-based program from a "lower" designation to a "severe" designation. 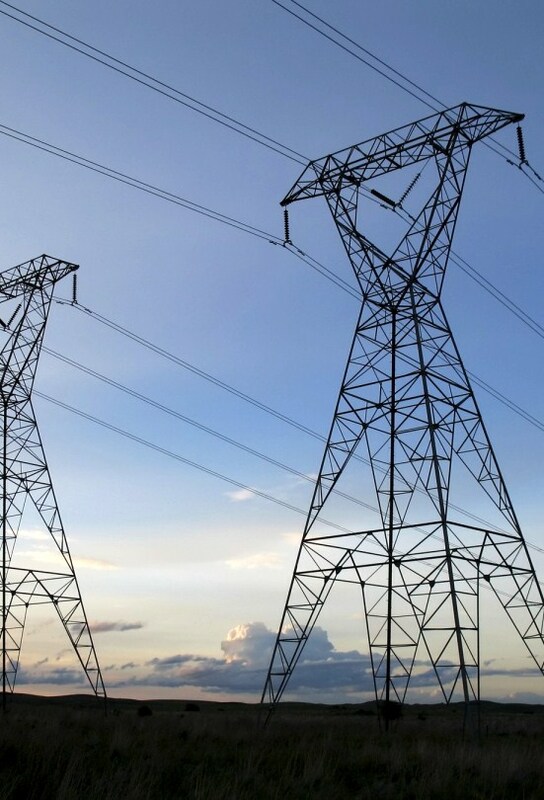 In approving the PRC-005-2 standard, FERC had directed NERC to make the VSL revision. NERC Proposes Updated Misoperation Reliability Standard - September 15 - NERC petitioned FERC for approval of Proposed Reliability Standard PRC-004-3 which would consolidate the reliability objectives of Reliability Standards PRC-004-02.1a and PRC-003-1, both of which address misoperation. Like PRC-004-02.1a, the revised standard aims to “identify and correct the causes of Misoperations of Protection Systems for Bulk Electric System Elements,” but will also establish continent-wide parameters for identifying and analyzing misoperations, thus eliminating the need for specific regional procedures. In addition, PRC-004-3 would apply to misoperations of underfrequency load shedding relays, which currently are not covered by any Reliability Standard. NERC Submits Comments on FERC's Proposal to Approve Physical Security Standard - September 8 - NERC submitted to FERC its comments on the Notice of Proposed Rulemaking ("NOPR") wherein FERC proposes to approve reliability standard CIP-014-1 regarding physical security. NERC's comments support the Commission's NOPR and focus on six areas of the NOPR, including: the ability of governmental authorities to add or subtract facilities from an entity's list of critical facilities, the standard for identifying critical facilities, protection of "high impact" control centers, applicability of the standard to generator owners and generator operators, third-party verification and review methods, and whether NERC should be required to submit a report on the resiliency of the electric grid. NERC Posts New RAI Documents, ERO Enforcement Plan - September 5 - NERC posted a new overview of its Risk-Based Compliance Monitoring and Enforcement Program (CMEP), as well as a visual overview of the program. Additionally, NERC posted a more detailed CMEP implementation plan for 2015. The CMEP is intended to apply a risk-based approach to compliance monitoring and enforcement, which focuses on identifying and prioritizing risks rather than applying blanket requirements to all regulated entities. NERC Submits Revisions to VRFs and VSLs for Certain Reliability Standards - August 29 - NERC submitted proposed revisions to the Violation Risk Factors (VRFs) and Violation Severity Levels (VSLs) for several mandatory reliability standards. The proposed revisions include changes to the VRFs for standards TPL-001-4 R1 and BAL-003-1 R1, as well as changes to the VSLs for standards MOD-026-1 R6, MOD-027-1 R5, and BAL-003-1 R1. The proposed changes were made in accordance with FERC directives in Order Nos. 786, 794, and 796. NERC Submits Reply Comments in ERO Performance Assessment Proceeding - August 27 - NERC filed a response to the comments of Eric S. Morris on NERC's ERO 5-Year Performance Assessment calling for a cost-benefit analysis of the Regional Entity model and inquiring about NERC's treatment of confidential information and the application and uniformity of NERC penalties. In its response, NERC states that no cost-benefit analysis is required in the proceeding, notes that NERC follows redaction guidelines found in its Compliance Enforcement Manual and other precautionary measures to protect confidential information, and provides certain information and context on the application of NERC's Sanction Guidelines. NERC Penalty Activity - August 27 - NERC filed with FERC a spreadsheet notice of penalty detailing 34 violations of 6 reliability standards by 13 entities, as well as a single penalty proceeding in a separate docket. Separately, FERC declined to review notices of penalty from July 2014, as well as a notice of penalty from March 2014. NERC Proposes Changes to Its Rules of Procedure - August 26 - NERC issued a notice of and request for comment on proposed changes to its Rules of Procedure. The proposed changes include revisions to (1) reflect the proposed elimination of three functional registration categories - "Interchange Authorities," "Load-Serving Entities," and "Purchasing-Selling Entities"; (2) formalize a registered entity's ability to request deactivation of a functional registration category and to request that a subset list of Reliability Standards apply to the registered entity; (3) provide for the establishment of a NERC-led, centralized review panel to vet requests for deactivation and decisions not to register, and to review other registration issues and disputes; (4) update the definitions of "Generator Operator" and Generator Operator" to be consistent with the recently revised definition of "Bulk Electric System"; (5) clarify that at any time, an entity whose registration status is at issue may request expedited treatment and waiver of applicable timelines; (6) set out registration processes with respect to entities that are subject to registration as Distribution Providers (DPs) that qualify as the new UFLS-Only DPs, and revise the threshold criteria for DP registration; and (7) add a new note to the registration criteria that adds a new materiality test comprised of a non-exclusive list of factors for consideration regarding an entity's material impact on the reliability of the BES. Comments on the proposal are due by October 10. A summary of the proposed changes can be found here. GAO Releases Critical Infrastructure Report – September 15 - The U.S. Government Accountability Office (GAO) released a Critical Infrastructure Protection report for the period spanning fiscal years 2011-2013. GAO was requested to issue a report identifying vulnerabilities in the country’s Critical Infrastructure (CI) system in the event of a natural disaster, terrorist attack, or similar catastrophe. GAO concludes that Department of Homeland Security (DHS) vulnerability assessment efforts require more comprehensive and integrated processes in order to “minimize duplication of and gaps in information, as well as reduce federal fatigue among CI owners and operators.” GAO also recommends that DHS take steps to improve consistency in vulnerability data collection and facilitate data sharing and coordination. DOE Issues Energy Sector Cybersecurity Framework Implementation Guidance - September 12 -The Department of Energy released for public comment guidance to assist energy sector entities with the implementation of NIST's cybersecurity framework. The draft guidance is intended to help energy sector entities evaluate their cybersecurity, identify gaps and risks, and develop strategies and tools based upon the NIST framework to improve security. Comments are due to DOE by October 14. Industry Groups Submit Comments on FERC Proposal to Approve Physical Security Standard – September 8 - Several industry groups submitted comments on FERC's Notice of Proposed Rulemaking ("NOPR") wherein it proposes to approve a physical security standard under CIP-014-1. The National Association of Regulatory Utility Commissioners submitted comments urging FERC to approve the proposed standard. American Public Power Association, Large Public Power Council, and the National Rural Electric Cooperative Association submitted joint comments in support of the NOPR. Similarly, the Edison Electric Institute, the Electric Power Supply Association, and the Electricity Consumers Resource Council also submitted joint comments in support of the NOPR and urged FERC to approve the proposed standard. Additional comments can be found in FERC Docket No. RM14-15. NIST Issues Cybersecurity Framework RFI - August 26 - Following on the National Institute of Standards and Technology's (NIST) July 31 update to its voluntary Cybersecurity Framework, NIST issued a Request for Information (RFI) about awareness of, use of, and experience with the Cybersecurity Framework. Specifically, the RFI asks a broad variety of stakeholders, including individual critical infrastructure owners and operators, governmental entities, and other stakeholders to respond to questions about their awareness of, and the awareness of others of, the Framework; about their direct experience with the Framework, including its use, approach, and leveraging; and whether NIST's February 2014 Roadmap for the Future of the Cybersecurity Framework properly identifies priority areas to be addressed in the future. Comments on the RFI are due on October 10. WECC Releases Clean Power Plan Approach - August 28 - WECC released a document outlining its cross-functional efforts, work plan, and next steps regarding EPA's proposed regulation of CO2 from existing power plants (also termed the Clean Power Plan). While WECC does not have direct compliance responsibilities under the proposed rule, and is not recommending any specific state or multistate compliance plan; instead, it views its role as informational. WECC indicates that it will make data and analysis available to states as they develop plans, will provide regional perspective on plan options, and will monitor potential impacts to system reliability. For more information on the Clean Power Plan, see Van Ness Feldman's alert.